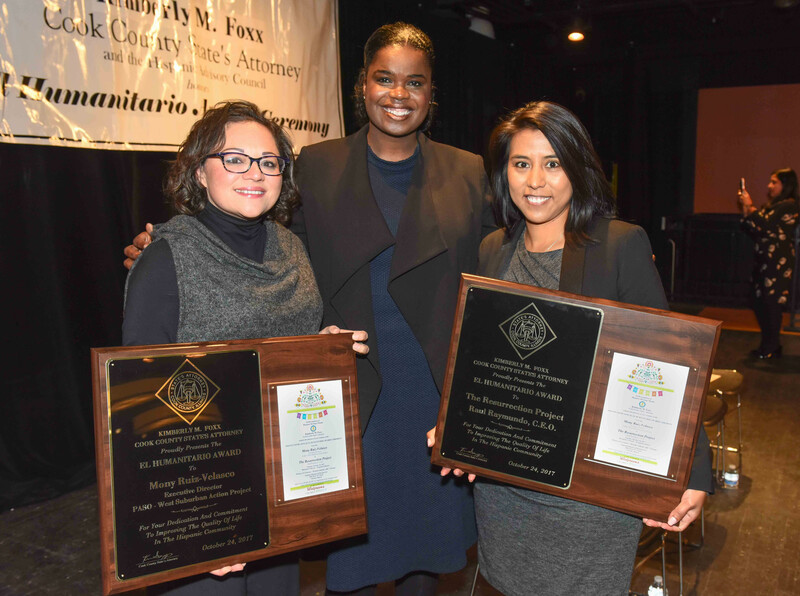 Cook County State’s Attorney Kimberly Foxx presented awards to citizens who have made contributions to the Hispanic community through their professional and personal lives during a recent ceremony held in commemoration of Hispanic Heritage Month. Mony Ruiz-Velasco, an immigration lawyer and organizer, is the Executive Director of PASO-West Suburban Action Project, and advocates on behalf of immigrant rights and social justice. For over 20 years, she has provided legal services, representation and counsel to thousands of immigrants and their families. Before joining PASO, Mony worked at the National Immigrant Justice Center (NIJC), where she served as the Legal Director. The Resurrection Project was established in 1990 in Chicago’s Pilsen neighborhood to build relationships and challenge individuals to create community ownership, build community wealth, and serve as stewards of community assets. Today, TRP is responsible for over $346 million in community investments, through home ownership, rental housing, and community facilities, including two child care centers in Pilsen, Little Village, and the Back of the Yards neighborhoods. At the ceremony, Armando Medina of John Marshall Law School and Ivan Velazquez of DePaul University College of Law received scholarships for internships in the State’s Attorney’s Office. The ceremony took place on October 24, 2017 at the National Museum of Mexican Art, 1852 West 19th Street in Chicago. Left to right: Mony Ruiz-Velasco, PASO-West Suburban Action Project, State’s Attorney Foxx and Ere Rendon of The Resurrection Project. 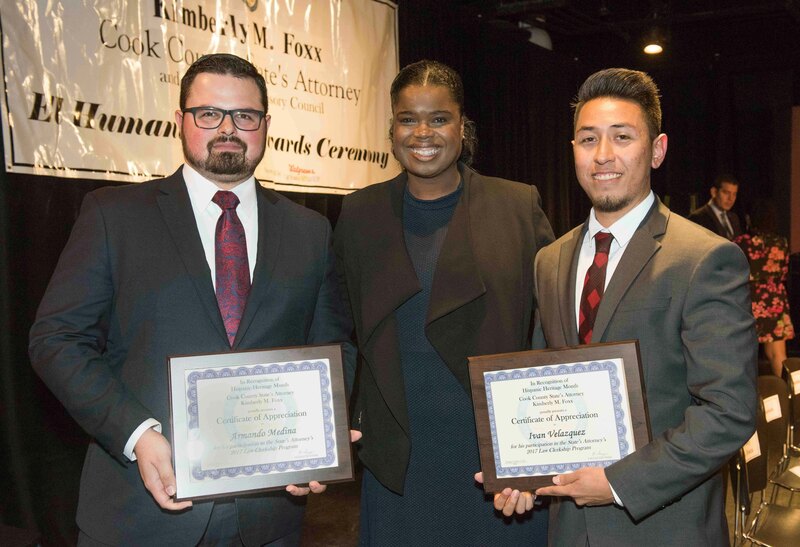 Scholarship winners Armando Medina (left), and Ivan Velazquez (far right) with State’s Attorney Foxx.